Flamingo symbolizes flamboyance, balance, and pride. Flamingos are proud to strut their stuff and show how bright and beautiful they are. They have no room for shame in their life. As they take flight they show off even more layers to their being, as their rarely seen black feathers become visible under their wings. 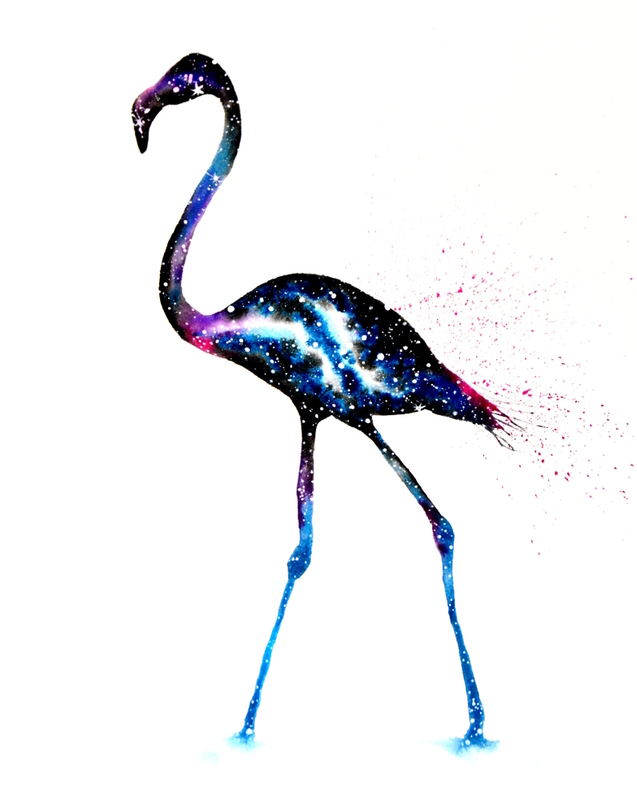 Flamingo encourages you to unapologetically shine as you are. As flamingos feed, their cleverly designed beaks strain the muddy water out from their food – all while their head is upside-down! Whatever non-traditional “backward” tendencies you have in life, keep doing it. It’s perfectly designed for you. Once you fully embrace the way you are meant to move through the world you will notice how effortlessly you can strain the “mud” out from your life, leaving behind delicious riches. Flamingo can also bring more balance into your life. They live a life walking on tall stilt legs and often balance just on one as they bob their heads in and out of the water searching for treasures. Can you trust the legs you stand on more to carry you where you need to go? You can also study Blue Heron as it’s another tall legged bird that visits water frequently. I want to hear about your Flamingo experiences. What stories or dreams have you had? Please share and join in the conversation below!